Chinese name: 南山牧场 (Nanshan Muchang). Location: Urumqi County, Urumqi City, Xinjiang Uygur Autonomous Region. Open time: all day long. How to get there: hire a bus or taxi. Best time for visit: May-September. There is a temperature difference between 10℃-15℃ at day and night, please take along enough clothes to keep warm. About 70 km from Urumqi, provincial capital of Xinjiang Uygur Autonomous Region, the South Pasture, which is also known as Nanshan Scenic Area, had become the private hunting ground of the imperial families early in Tang Dynasty (618-907) and then became a famous pasture and summer resort in Qing Dynasty (1644-1911) for the beautiful and scenery cool climate. 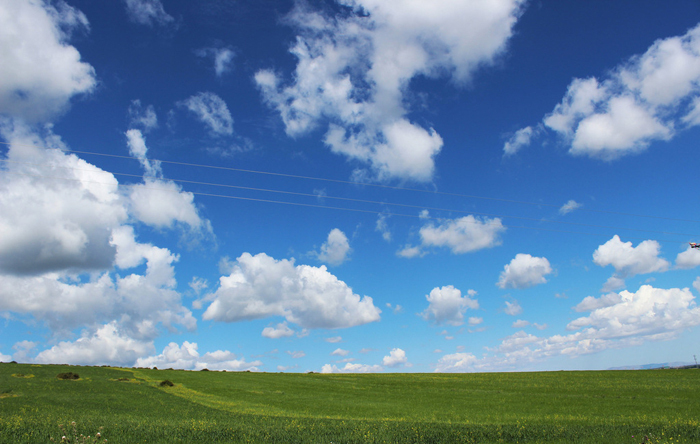 In 1989, the South Pasture was approved as provincial scenic spot by Xinjiang government. Nowadays, the South Pasture has become a summer resort combing high land forest scenery and minority ethnic group life style. 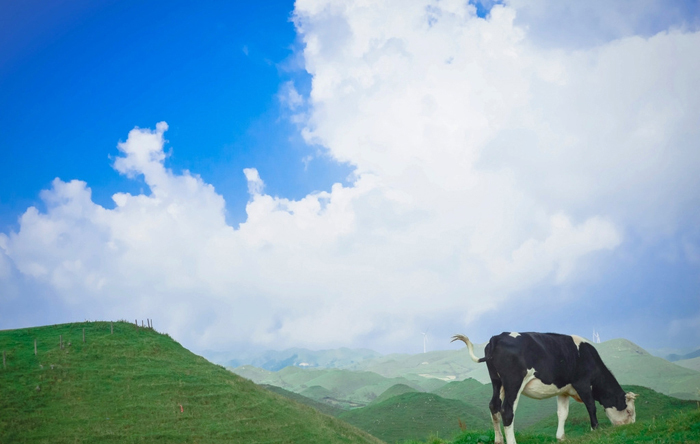 Located at the foot of the north ranges of Tianshan Mountain, South Pasture is at an average altitude of 2,252 meters. Covering an area of 119 square kilometers, South Pasture is a natural pasture with tall trees and many beautiful valleys, which are embraced by snow mountains. From west to east there are famous scenic spots there such as West White Poplar Valley, Gangou Chrysanthemum Platform, East White Poplar Valley, Shuixi Valley, Zhaobi Mountain, Miao'er Valley. The most famous area of South Pasture is West White Poplar Valley, which is located between low mountain area and middle mountain area at an altitude of about 2,200 meters. 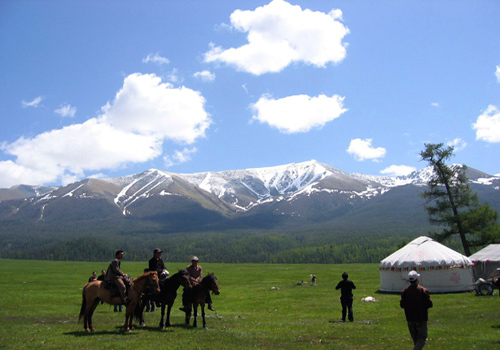 Besides forest of spruce and snow mountains, visitors can also see many white yurts and cabins scatter around outer area of West White Poplar Valley. 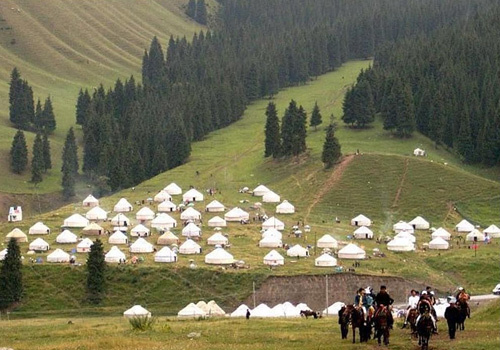 People of Kazak minority group, the owners of the yurts, are quite hospitable and may welcome you to visit their house. The most beautiful attraction of West White Poplar Valley is a waterfall on a cliff in deep forest. It is about 40 meters high and 2 meters wide, pouring down the cliff. Scenery of East White Poplar Valley is similar to the West one except the waterfall; however, a stream floating across creates beautiful scenery, too. Gangou Chrysanthemum Platform is a grassland scenic spot with wild golden chrysanthemums neighboring West Popular Valley. The platform is 2,000 to 2,400 meters above the sea-level, 300-500 meters wide and 5,000-6,000 meters long, which is said to be impacted by water rushes from top of mountains around in ancient times. In spring and summer, golden chrysanthemum and many other colorful wild flowers blossom and decorate the grassland together with sheep and horses. To the east of platform is Urumqi Observatory, which is opened to visitors at present, thus, those interested in astronomy can take a look while visiting Gangou Chrysanthemum Platform. Shuixi Valley is a famous ski and skating field of Xinjiang and has held the provincial skating competition for many times. 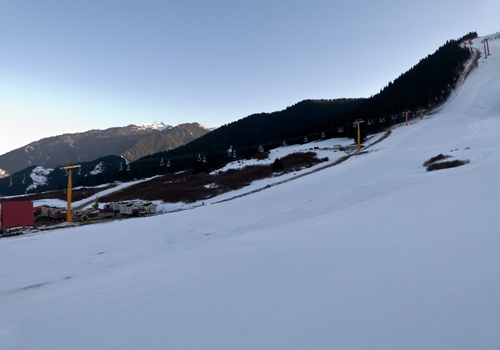 The main ski and skating field of Shuixi Valley is about 45 kilometers from Urumqi City. About 40 kilometers from Urumqi City, Zhaobi Mountain lies from northeast to southwest, covered by spruces and surrounded by streams on three sides, which form a pyramid-shape mountain. In the south part of Zhaobi Mountain there is famous water gorge with cliff standing closely. It is a good place for visitors who look for an ecotourism trip, because there are many wild horses, deer and some other animals besides wonderful scenery. To the east of Zhaobi Mountain, the Miao'er Valley lying from north to south is about 8 kilometers long at an altitude of 1,800-2,100 meters. With an average temperature of 16℃ in July, which is 6℃-8℃ lower than that in Urumqi City, Miao'er Valley is a good summer resort. In the middle of the valley, there is a three-layer waterfall. The end of Miao'er Valley is a platform, which is 500 meters long and 200 meters wide, at an altitude of 2,655 meters, where visitors can get a good view of Urumqi City. 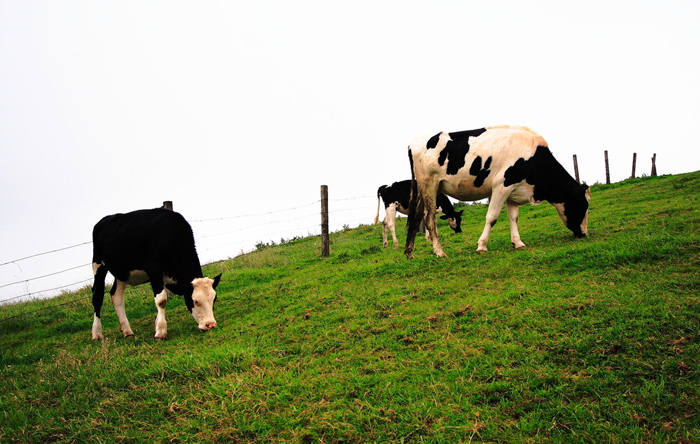 Apart from beautiful scenery, delicious local milk tea and foods, visitors also can enjoy many ethnical activities in South Pasture. The most interesting activity is the Chasing Girl of Kazak minority group, which is a way for unmarried boys and girls to show their love to their beloveds. It is normally held in summer or autumn when wild flowers decorate the grassland. The activity consists of two courses, the first course is boys and girls riding on horse with boys showing their love to girls; and the second course is boys riding fast with girls to chase their love.